At Vanna K, some of our most treasured jewels are our authorized dealers. We take great consideration in who we choose to work with and showcase our unique, diamond jewelry. 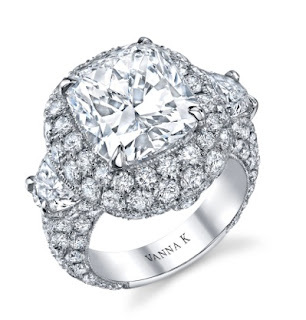 One of our favorite dealers is Kassab Jewelers, the premier bridal destination for Vanna K in the Portland, Oregon area. Kassab Jewelers truly cares about their customers and works with them to find just the right "fit". They know the importance of finding that unique and perfect diamond and setting for an engagement, wedding or special occasion. Offering value and incredible savings on a wide variety of loose certified diamonds in all shapes and sizes, their diamonds are of the highest-quality. They also coordinate perfectly with the large selection of unique Vanna K diamond engagement rings that they carry in their stores. In business since 1975, they employ the most friendly and knowledgeable staff. They are truly experts in diamond engagement rings. If you are in the Portland area, they have 3 convenient locations for you to choose from. Visit them today and find out what makes them so very special to Vanna K and to so many brides and grooms everywhere.